Back in 1986, the NY Museum of Modern Art decided to create an open-ended play-set for children. The play-set consisted of creatively painted wooden pieces that could be mixed, matched, and placed on a wooden board in different patterns and shapes. The set has long been a staple of childhood creative play, but now, things are changing. In our digital world, there is now an app for this adorable play-set! While it may not be the same as a physical toy, at least there are no pieces to pick up from the floor! The digital version of this childhood classic has been created and turned into an app by a company called Chocolate. 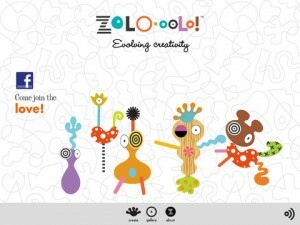 The original creators of ZoLO have given Chocolate their blessing in the creation of the new version of the old classic, so remaining true to the classic version has been a must. Even so, there are obviously a few differences from the original, such as the ability to send completed creations to friends who also play ZoLO. Another difference is that the app version of ZoLO won’t cost you a dime! The app is free to download right now on the app store. Click the Apple iTunes App Store button below to introduce your kids to a timeless classic, built for the iPad!